Toolset that helps you while working with multiple Solution Explorer instances. 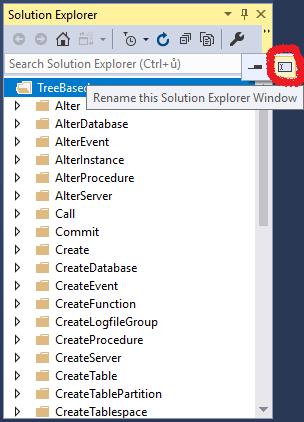 It restore Solution Explorer layout to state before Visual Studio closes and enable you to rename solution explorer windows. 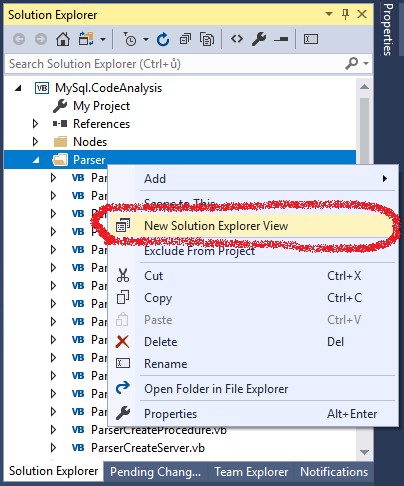 This extension mainly makes scoped Solution Explore view (create by New Solution Explorer View in context menu in Solution Explorer) persistent across solution unload and load (ie. it saves state when Visual Studio shutdown and restores it when solution is opened next time). It allows you to rename solution explorer view so you can easily distinguish it. How to add solution view? Right click in Solution Explorer on folder you want to set as root folder of new view, then select New Solution Explore View option. New window will appear, then you can put it into your layout everywhere you want. How to set title of view? Click the last icon in Solution Explorer's toolbar (Rename). It could overflow from the screen. then type the new title of window and confirm. Window title will be set to the same as you type. 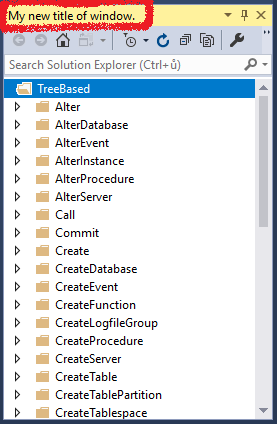 You can modify your Visual Studio layout by adding multiple views to different folder and name the custom views for quick distinguish. fixed bug that after reload, restored windows has not focus as before unload. fixed bug while reloading unloaded project duplicates windows. You could support me via Paypal.